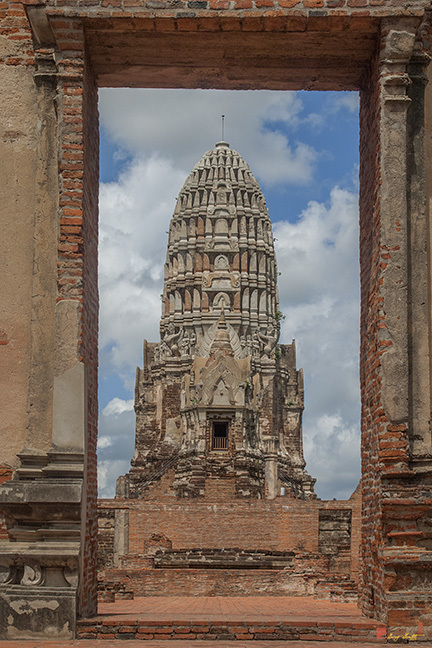 When King Intharachathirat passed away in 1424 A.D., two of his sons, Chao Aye Phraya who ruled Suphanburi and Chao Yi Phraya who ruled Sanburi, battled over the accession to the throne. The battle took place at the approach to the Pa-Than Bridge and resulted in the death of both contenders. 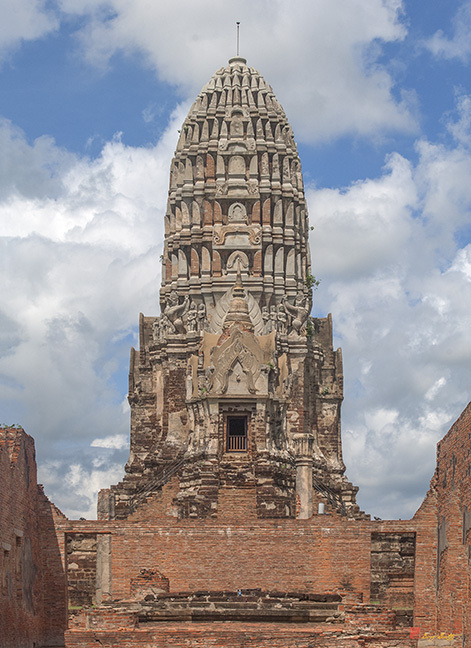 A third son, Chao Sam Phraya, returned to Ayutthaya from Phitsanulok and, after acceding to the throne, he organized a funeral for his father and two brothers. 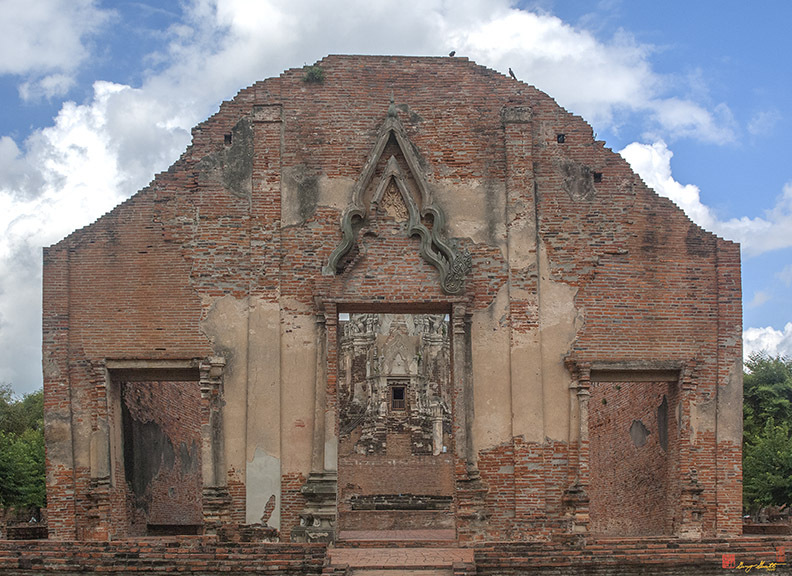 Later he ordered the building of Wat Ratchaburana, วัดราชบูรฌะ, at the site of the cremation. 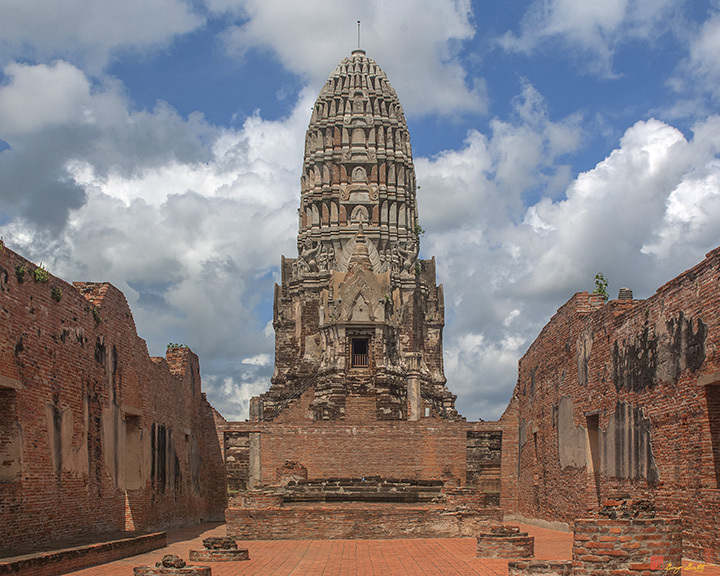 Two chedis were built on the site of the fatal battle to hold the brothers' ashes.